These cookies go by two different names in my gram's recipe box; there are cards titled "Tillie's Cookies" and also cards reading "Mother's Cookies." These are the cookies that my great-grandmother would make. It's probably because of this that these cookies were ever-present in my gram's house, whether they were freshly baked or take from the giant bag of them that was always waiting in her freezer, just in case. I won't lie, when I was little, these weren't my favorite thing to come out of my grandmother's oven. It's not that I didn't like them, because I certainly did, it's just that there were normally other treats around to nibble on as well, and those other things often contained chocolate. Even so, I always managed to eat at least a few of these during each visit, carefully inspecting each cookie on the plate before deciding on the ones that I felt had the best jam-to-cookie ratio. Even if Tillie's Cookies weren't my all time favorite to eat, they were always one of my favorite to help make. I liked getting to squish the thumbprints in the center of the cookies and then over-fill them with jelly, much of which would end up melting over the sides and burning on to the cookie sheet. My gram would always make sure that there were enough of her perfectly shaped and filled cookies to counterbalance my sticky cookie monstrosities. Ok, enough storytime! Let's just make the darn cookies! Preheat your oven to 375 and lightly grease 2 cookie sheets. In a large bowl, cream the sugar and Crisco. Beat in the eggs, water and both extracts. In a separate bowl, mix together the flour, baking powder and coconut. 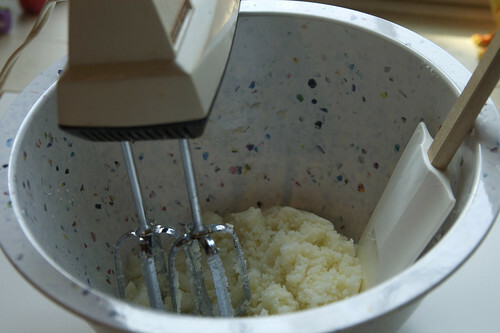 Gradually add the dry ingredients in with wet, mixing them completely. 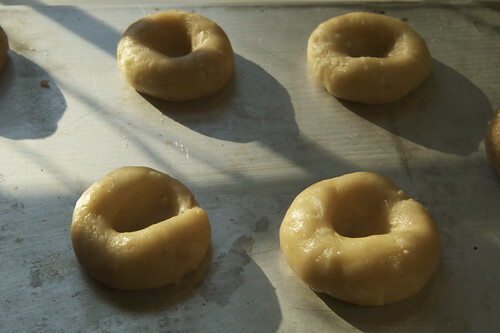 You will end up with slightly sticky dough, that can be scooped up with a tablespoon and then rolled in to balls. Here's where you have to make a choice. 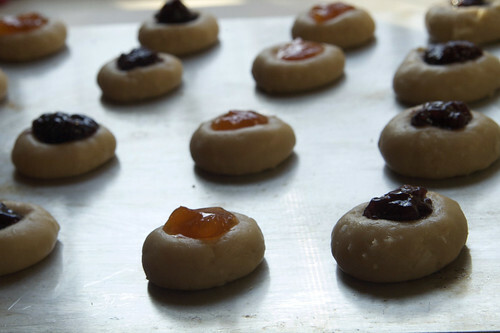 You can either roll the balls of dough in a cinnamon sugar mixture, and bake them like that, or you can make the thumbprint cookies and fill them with whatever tasty fruit jam you like. 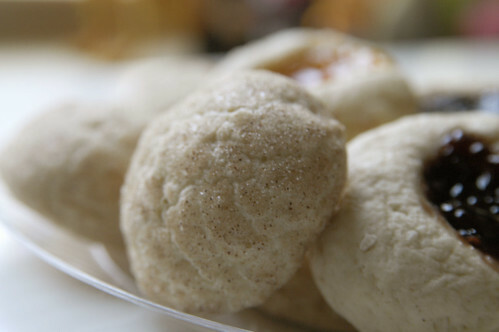 I personally prefer the fruity cookies, so I only make a couple of the cinnamon sugar cookies. 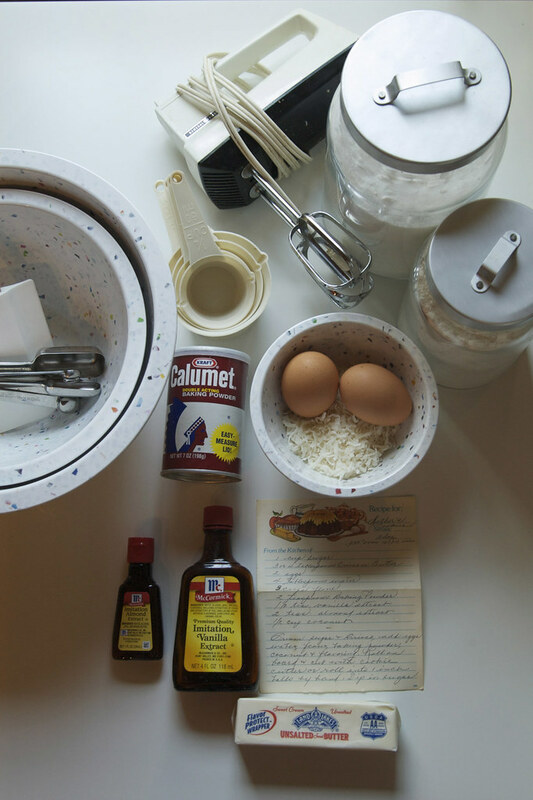 To make the thumbprint cookies, simply roll tablespoon size balls of dough and place them on the greased baking sheet. Then you get to squish your thumb in to the middle of them! This works best if you have short finger nails. If you want more uniform dimples in the cookies, or just don't want to squish your fingers in to the dough (sacrilege!) you can make the indents with the end of a wooden spoon. Fill the indentations with your favorite fruit jam, jelly or preserve. Apricot is my favorite to use, followed by mixed berry. Feel free to experiment with the flavors. As you can see, I still can't resist overfilling them at least a little bit. 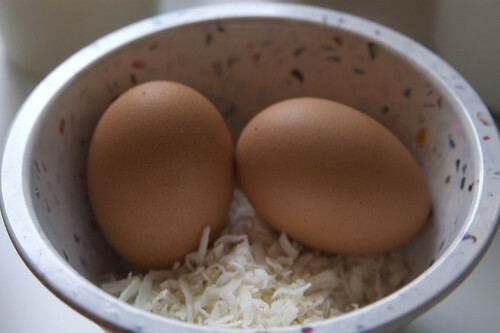 Place them in the oven for 10-12 minutes. Remove the sheets from the oven and allow to cool on the cookie sheet for several minutes before transfering the cookies to a cooling rack. Try to resist the urge to promptly shove a hot cookie in to your mouth, because the jam might burn your tongue. my gran used to make these all the time. she called them swedish thumbprints. 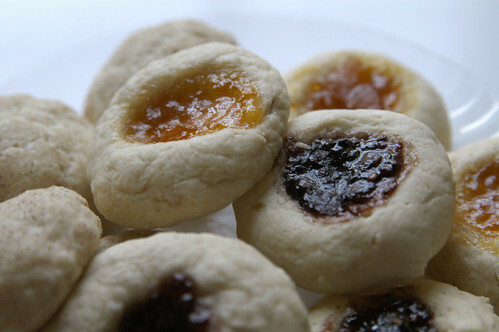 Thumbprint cookies do seem to be very popular among the grandmom set. They seem like an old fashioned cookie somehow. May I please have a glass of milk?